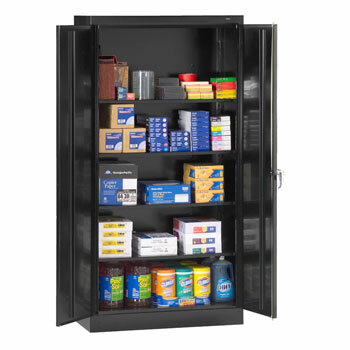 Need classroom or office storage fast? Check out these affordable storage solutions all shipped in just 5 days or less. Quick Ship furniture leaves the factory on business days during the advertised time frame, please allow 2-5 days for transit. Offer valid only on orders that contain these Quick Ship items. Please order any other items with standard lead-times separately to ensure prompt delivery. Live Chat or Call us at 800-599-6636 for more information about our Quick Ship program, or to discuss your time sensitive order. You’ll find both solid metal storage cabinets and storage cabinets with safety view doors, all at prices you’re sure to love. Shop our complete Storage Furniture section today for our full offering of quality storage and organization products.